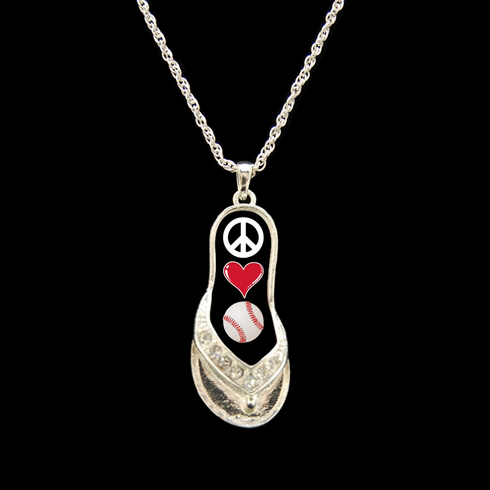 These 18" necklaces feature a crystal flip flop charm with a peace love baseball decal. Plain silver back. Flip flop charm measures 1.25" in length.